while the right of self-defence gained in significance, displacing the ex- ..... exercise of this right of self-defense shall be immediately reported to the Secu-. Associate Dean and Professor of Law, Brooklyn Law School. Thanks to Robert Berry for his research assistance. 1 . See Spencer Weber Waller, National Laws and International Markets: Strategies of Cooperation and Harmonization in the Enforcement of Competition Law, 18 CARDOZO L. REV. 1111 (1996) (summarizing these arguments). 2 . See id. If you believe the articulated reasons of the United States,3 the objections to an international antitrust code enforced by the WTO are some combination of the following: 1. I want to examine one strain of the U.S. position that helps to explain the current and historical ambivalence of the United States to efforts to harmonize or internationalize antitrust law.5 I suspect that the United States is reacting at a fundamental level to the vigorous advocacy of a code, or civil law, approach in the field of competition law that historically arose in the United States as a court-centered common law tradition.6 Taking this objection seriously does not automatically lead to a posture of nullification or obstructionism, but does suggest new routes to proceed if progress is to be made toward global rules to govern competition in global markets. 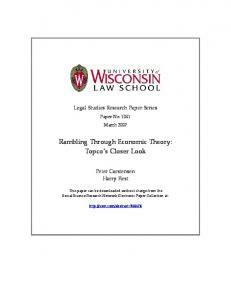 Taking a common law approach does require several changes to the current dialogue. Instead of a conflict between two antitrust superpowers or personalities, the challenge of international antitrust regime creation7 more closely resembles a classic problem of comparative law. Therefore, what is Enforcement at the End of the Twentieth Century, Address Before the Fordham Corporate Law Institute, (Oct. 16, 1997) (visited Sept. 24, 1999) (describing that internationalization diverts attention from practical efforts at improving enforcement and would be lowest common denominator); Joel I. Klein, A Note of Caution with Respect to a WTO Agenda on Competition Policy, Address Presented at the Royal Institute of International Affairs, (Nov. 18, 1996) (visited Sept.24, 1999) (visited Sept.24, 1999) ( stating the lowest common denominator concern and fear of harmful WTO decision making masquerading as competition policy); Charles S. Stark, Enhancing Market Access Through Trade and Antitrust Law, Address Before the Section of International Law and Practice of the American Bar Association, (Aug. 8, 1995) ( visited Sept. 24, 1999) (indicating there is no consensus and differing policy goals); Diane P. Wood, Antitrust: A Remedy for Trade Barriers?, Address to the Asian Law Program, Japan Information Access Project (Mar. 24, 1995) (visited Sept. 24, 1999) (emphasizing no consensus and potential for more harm than good); Roscoe B. Starek, III, What are the Limits of Antitrust Cooperation?, Remarks Before the Fourth Annual Symposium on EU Mergers and Joint ventures: New Commission/New Merger Policy?, available in WESTLAW, 1995 WL 122743, at *5 (F.T.C. Mar. 17, 1995) ( referring to the lack of consensus and differing values). 5 . See Waller, supra note 1, at 374-80. 6 . 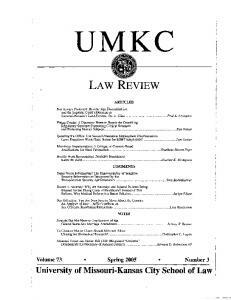 But see Spencer Weber Waller, Prosecution by Regulation: The Changing Nature of Antitrust Enforcement, 77 OR. L. R EV. 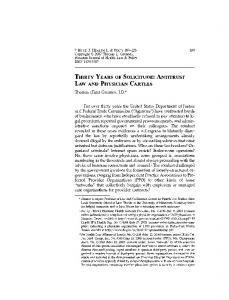 1383 (1998) (arguing that the current enforcement system is inherently regulatory and agency centered). 7 . Regime theory is just one of the recent contributions that international relations theory has made to the understanding of international law problems. See generally R EGIME THEORY AND INTERNATIONAL R ELATIONS (Volker Rittberger ed., 1995); Anne-Marie Slaughter, et al., International Law and International Relations Theory: A New Generation of Interdisciplinary Scholarship, 92 AM. J. INT’L L. 367 (1998) (including bibliography); Robert J. Beck, International Law and International Relations: The Prospects for Interdisciplinary Collaboration, 1 J. INT’L LEGAL STUD. 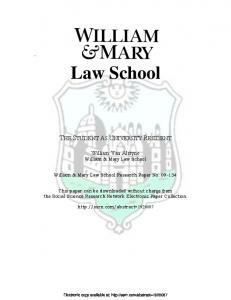 119 (1995); Anne-Marie Slaughter Burley, International Law and International Relations Theory: A Dual Agenda, 87 AM. J. INT’L L. 205 (1993); Kenneth W. Abbott, Modern International Relations Theory: A Prospectus for International Lawyers, 14 YALE J. INT’L L. 335 (1989); Kenneth W. Abbott et al., International Law and International Relations Theory: Building Bridges, 86 PROC. AM. SOC’Y. INT’L L.167 (1992).
. For an introduction to the conceptually different framework of the civil law see JOHN HENRY M ERRYMAN, THE C IVIL LAW TRADITION: AN INTRODUCTION TO THE LEGAL SYSTEMS OF W ESTERN EUROPE AND LATIN AMERICA (2d ed. 1985). 9 . 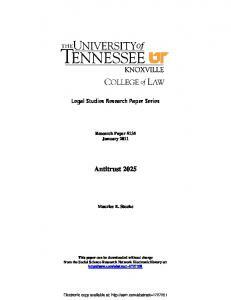 See Spencer Weber Waller, Neo-Realism and the International Harmonization of Law: Lessons From Antitrust, 42 U. KAN. L. R EV. 557, 557-61 (1994).
. Statute of the International Court of Justice, art. 38, para 1, June 26, 1945, 59 Stat.1055, 1060. 11 . R ESTATEMENT (THIRD) OF THE FOREIGN R ELATIONS LAW OF THE UNITED STATES § 102 (1987). 12 . See generally I REPERTORY OF DECISIONS OF THE INTERNATIONAL C OURT OF J USTICE (1947-1992) 5-21 (Giuliana Ziccardi Capaldo ed., 1995); MARK E. VILLIGER, CUSTOMARY INTERNATIONAL LAW AND TREATIES 15-62 (2d ed. 1997). 13 . For the currently existing competition provisions in the WTO system are set forth see ERNST-ULRICH PETERSMANN, THE NEED FOR INTEGRATING TRADE AND C OMPETITION R ULES IN THE WTO W ORLD TRADE AND LEGAL SYSTEM 20-23 (PSIO Occasional Paper WTO Series No. 3, 1996). 14 . See, e.g., Agreement on Technical Barriers to Trade, arts. 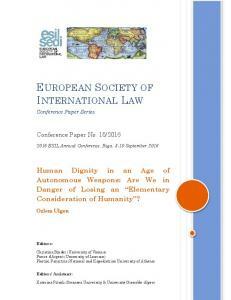 3, 4, 8, reprinted in J OHN H. J ACKSON ET AL., LEGAL PROBLEMS OF INTERNATIONAL ECONOMIC R ELATIONS 149, 152-53, 157 (3d ed. Supp. 1995). business practices, multinational enterprises, and the transfer of technology, the multiplying web of cooperation treaties between antitrust enforcement agencies, and the thousands of Bilateral Investment Treaties and other systems for the resolution of disputes between investors and host governments.15 Turning to state practice, the question of any customary international law in the area depends on the nature of state practice in the competition field and the rules that states have adopted out of a sense of obligation. Customary international law thus bears much in common with the common law and also has the classic advantage of the common law’s emphasis on solving problems first and figuring out the rules later. There has been a rush to embrace and adopt competition law across a wide range of geographies, stages of development, former and present ideological frameworks, and political circumstances. Gesner Oliveira, the head of the Brazilian Antitrust Enforcement Agency, has been a leader in characterizing a common set of stages in the development of competition law for new antitrust regimes. He has contended that systems develop from a modest program of domestic enforcement relying on technical assistance from abroad to a robust enforcement system that actively cooperates at the international level and participates in the work of regional and international organizations in cooperating, harmonizing competition law, and creating core principles of true international competition law.16 There is a growing body of state practice, as well as both soft and hard international law, that supports this characterization of the state of international competition rules arising out of the work of international organizations such as: the EU, the European Economic Area, the Europe Agreements between the EU and the countries of Eastern and Central Europe, the Organization of Economic Co-operation and Development, the Asian Pacific Economic Cooperation, the Strategic Impediments Initiative talks between the United States and Japan and their aftermath, Mercosur, NAFTA, and others. The hardest part of the customary international law game is inducing which specific rules have achieved such widespread acceptance arising out of a sense of obligation that they should be deemed binding rules of customary international law. Without entering into a fruitless debate as to which specific rules of competition law have achieved such status (i.e., anti-cartel rules, monopolization, etc. ), let me suggest that a strong case can be made that international law requires that if a nation chooses to have competition rules, it must enforce those rules in a non-discriminatory manner. 15 . See generally KENNETH J. VANDEVELDE, UNITED STATES INVESTMENT TREATIES: POLICY AND PRACTICE (1992). But see id. at 164 (describing present limitations on investment dispute mechanisms). 16 . See Gesner Oliveira, Competition Policy in Brazil and Mercosur: Aspects of the Recent Experience, 24 BROOK. J. INT’L L. 465, 466-70 (1998). 17 . 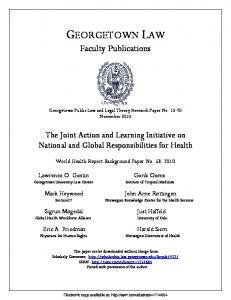 See Restrictive Trade Practices: Arrangements for Consultations, G.A.T.T. B.I.S.D. (9th Supp.) at 170 (1961) (report adopted on June 2, 1960). See generally J OHN H. J ACKSON, W ORLD TRADE AND THE LAW OF GATT 522-27 (1969). 18 . The allegations in this matter are quite complex and the actual panel report runs into the thousands of pages. For a discussion of the issues raised by the case and the WTO panel decision see F.M. 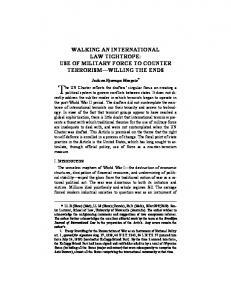 Scherer, Retail Distribution Channel Barriers to International Trade, 67 ANTITRUST L.J. 77 (1999); Jay L. Eizenstat, Comment, The Impact of the World Trade Organization on Unilateral United States Trade Sanctions Under Section 301 of the Trade Act of 1974: A Case Study of the Japanese Auto Dispute and the Fuji-Kodak Dispute, 11 EMORY INT’L L. R EV. 137 (1997); Renee Hardt, Note, Kodak v. Fuji: A Test Case for the Extraterritorial Application of the Sherman Act, 15 B.U. INT’L L.J. 309 (1997); Hiroyuki Fujii, Comment, The Kodak-Fuji Dispute: A Spectrum of Divergent Colors and a Blueprint for a New WTO Procedure for Disputes Involving Government Toleration of Anti-competitive Practices, 2 UCLA J. INT’L L. & FOREIGN AFF . 317 (1997-98); Gary N. Horlick & Yong K. Kim, Private Remedies for Private Anti-Competitive Barriers to Trade: The Kodak-Fuji Example, 24 INT’L BUS. LAW, Nov. 1996, at 474. 19 . Anti-Dumping Act of 1916, §801, 15 U.S.C. § 72 (1994). procedures for imposing anti-dumping duties under article VI of the GATT and the WTO Anti-dumping Code are the exclusive remedy for dumping violations.20 All of these examples, both hypothetical and real, involve existing rules and the availability of a well-developed dispute resolution system capable of answering the questions posed. Who wins any particular dispute depends on the advocacy of the parties and factual and legal findings of the dispute resolution panels. There is, however, a ready made system in place to handle many of the competition issues that would otherwise be the subject of endless negotiations if a full negotiating round were convened to prepare a comprehensive competition code. The answer in any particular case might be that the current rules do not cover the problem at hand. Law is created through this process, either positively or negatively, and can serve either as a substitute to, or as a guiding path for, a true code of international competition law. That is probably the best that can be expected for the foreseeable future and a pretty good result in the real world. IV. CONCLUSION This essay was intended as a middle ground between two extreme positions that argue about what the world of international trade and competition law should be. I instead look at the world that already is. The WTO and many other organizations and treaties have the existing law to create an incremental international law of competition that can at least partially serve the needs of the world trading system and prevent some of the competitive abuses that go unchecked under the present system.21 Using existing dispute settlement procedures, such as in the WTO, to test the limits of how the present systems can handle competition disputes has the virtue of solving real world problems using existing tools, albeit applying them to new problems.22 The rest of the world may not view competition law, or law making generally, in these very common law terms. However this view has the potential of moving forward on an incremental basis until the United States and other skeptics have been both petitioner and respondent in true international competition cases and they have found that they can live with the results. 20 . See WTO Sets Up Dispute Panel on U.S. Antidumping Act of 1916, 16 Int’l Trade Rep. (BNA) at 192 (Feb. 3, 1999). 21 . See supra notes 13-16 and accompanying text. 22 . See supra notes 17-20 and accompanying text. 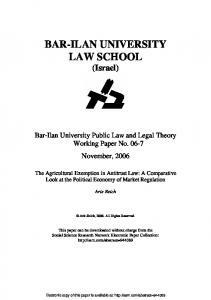 Report "An International Common Law of Antitrust - SSRN papers"